Did you know that there are a bunch of different healthy foods that can boost the beauty of your smile? 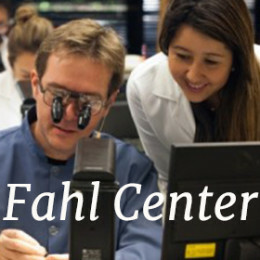 Here at Hooper Tooth Conserving Dentistry we are all about giving our patients supportive advice when it comes to taking care of their oral and overall health. 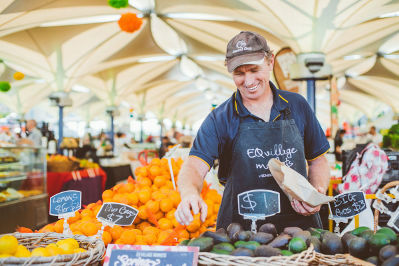 Thanks to an abundance of local food markets in the Sydney burbs, we are happy to offer up some feel-good toothy tips with what to eat and where to buy in order to give your smile a chance to last you a lifetime. I’m sure we are all aware by now that Popeye wasn’t far off when he said “I’m strong to the finish, ’cause I eats me spinach.” Labelled under the superfood fad as a leafy green that is extremely high in nutritional value, spinach is loaded with health benefits that service everything from your eyes to your heart. Raw spinach, as well as a host of other raw vegies like kale and cucumber, contains a vitamin called phosphorus. Phosphorus can help to keep the enamel on your teeth healthy and strong. You may think it looks a little weird watching someone snacking on a whole, raw carrot but really that person knows exactly what they are doing. Raw carrots are chocked full with vitamins and thanks to their naturally crunchy form; they can double as a sort of au naturel abrasive scrub for your teeth. Do you ever wonder how the supermarket stocks fruit and vegies that are out of season? What about the type and concentrate of pesticides in your lovely little hamper of goods? It is all well and good to know the foods that help your smile, but it’s important to consider the source and freshness of your produce and it’s likely that not one single person in the supermarket can give you an honest answer. 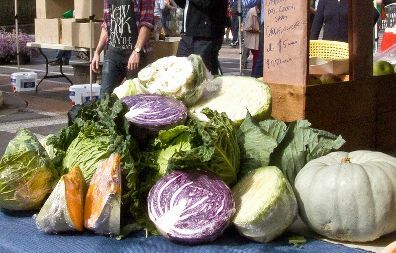 By choosing seasonal fruit and vegetables fresh from the farmers markets, you are able to talk to and get to know the farmer, find out how they grow their crops, how long the food has been picked for and even ask them what pesticides they use. You’ll find that whatever you take home from the market will likely always last longer because it is actually fresher in comparison. As a farmers market, they offer fresh seasonal fruit and vegetables, organically grown meat and poultry, fresh picked flowers, artisan breads, homemade jams, farmstead cheeses, seafood, olive oils, herbs, spices amongst other products. 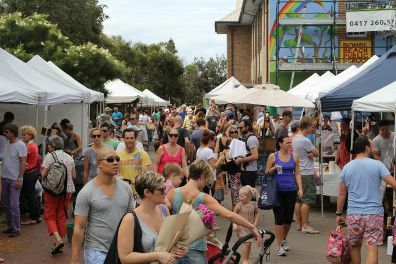 Double Bay Organic Food Markets is one of a collection of produce markets in Sydney and in Newcastle, offering local residents everything from certified organic produce to conventional fresh food, gourmet treats, flowers and fashion. 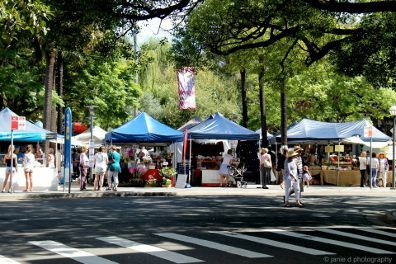 The EQ Village Markets offer a wide range of top-quality produce at a great price. There is an abundance of products that are hand-picked and crafted with love by the many stallholders. Fruit and vegetables are in plentiful supply, including hydroponic and organic. It is important that you visit the dentist and brush and floss to maintain healthy teeth as well as take the time to care for your body and smile with healthy food. Fresh fruit and vegies are great for you but naturally occurring sugars can still damage your teeth just the same as sweets. For more information on the correlation between your health and your smile or to see how healthy your pearly whites are, book a consultation Dr Joe or Dr Gerry Hooper today.